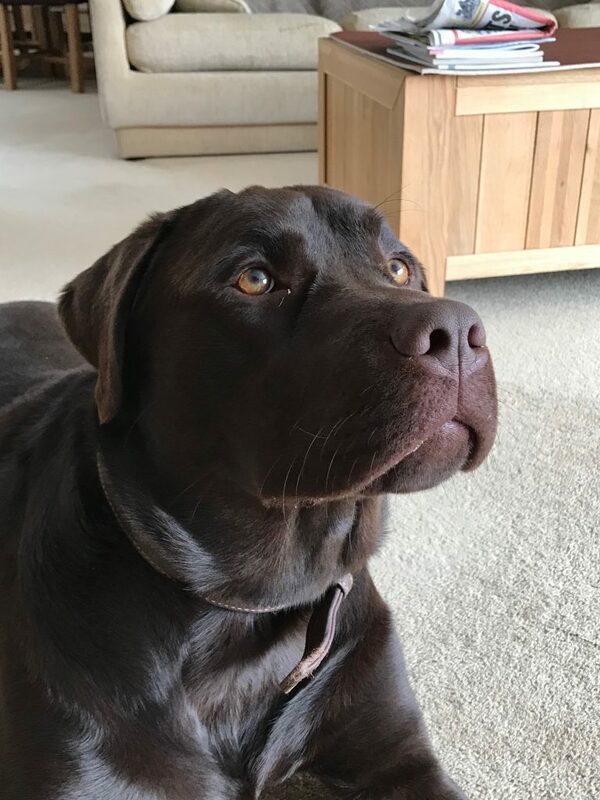 This handsome fella has just turned one, he is a big bouncy boy with plenty of energy! He hasn’t seen much in his first year so is still very much a puppy at heart and finds it hard to relax. Everything he does is exciting and done at full speed. He is very trainable and takes to everything you teach him straight away. He does pull on the lead, however with a head collar on he walks nicely to heel. 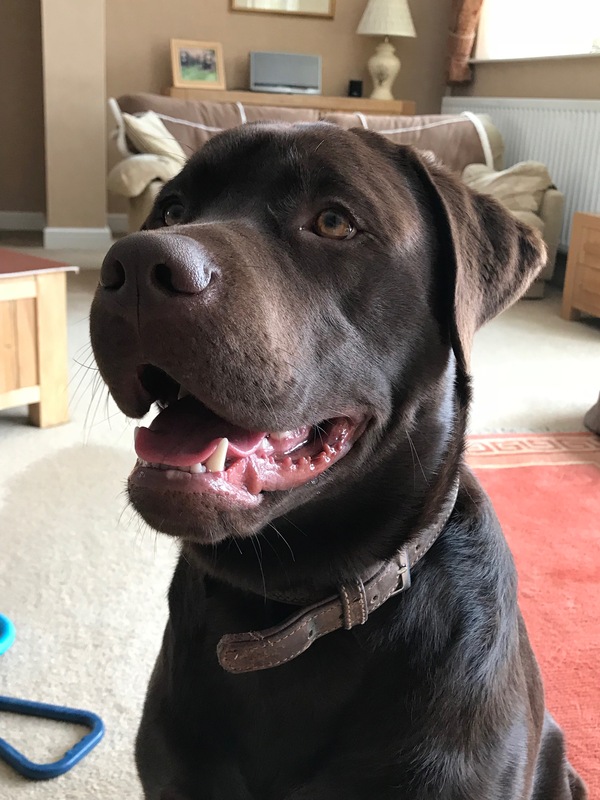 He loves people and dogs but is very bouncy with them due to his lack of socialisation, and would therefore benefit from training classes to address his excitability. 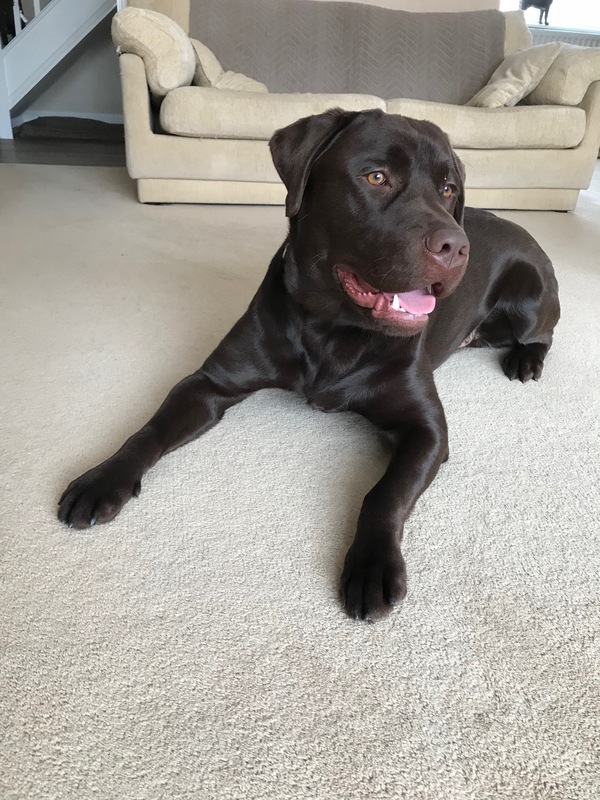 We are therefore looking for an only dog household, and any children would need to be teenagers due to his size and enthusiasm. He is crate trained and happily sleeps there for bedtime. He can be destructive if not monitored. We are looking for an experienced and active household where someone is around most of the day so that he can watch, learn and receive the structure and stimulation that he requires. If you are registered with the Charity, and want to find out if you would be a suitable home, please call Jacky on 07736 791899 or Barbara on 01234 831854 (please do not call after 8pm). If you are not already registered please complete the online application form.